The Viking MT4112 S tractor mower offers great performance and comfort at a fantastic price. It allows you to mow large lawns comfortably while also having the added bonus of never having to empty the grass catcher box. The MT4112 S is equipped with a side discharge. This means that rather than collecting up all of the grass to empty into a suitable compost area, it discharges the finely cut grass. The grass then quickly decomposes and restores nutrients back into your lawn. It’s simple to get started with the MT4112 S. Just like in a car, the accelerator pedal is on the right and the brake pedal is on your left. This tractor mower has forward and reverse gears which can be easily moved between via the forward/reverse drive switch which is placed conveniently next to the steering wheel to allow for quick, straightforward working. The drive pedal actuates the hydrostatic gearbox, so it is incredibly easy to select the speed you want the mower to drive at. The mowing deck operates using a 2 blade system that by itself has a cutting width of 95cm. The blades are inclined for a beautiful cutting pattern. However, the true cutting width of the Viking MT4112S tractor mower is a whopping 110cm. This is due to Viking’s innovative grass guide system which operates on both sides of the mower to guide the grass inwards towards the mowers blades. The seat on the Viking MT4112 S tractor mower is fully adjustable which means that anyone using it can easily move the seat for the optimal mowing position. It’s also possible to fold the seat flat whenever necessary. The MT4112 S also comes fitted with an integrated hitch. This ensures that any attachments such as a tilting trailer are simple to mount. This tractor mower also has large turf protecting wheels that protect your lawn from damage by spreading the weight of the machine over a larger surface area. After mowing, there is hardly a trace that the tractor mower was there (other than the beautifully cut grass). Get your Viking MT4112 S tractor mower today by visiting us online or in-store. If you need help finding us, you can get directions on our contact us page. The Viking MB 448 TX self-propelled lawn mower makes light work of medium sized gardens of up to 1,200m². 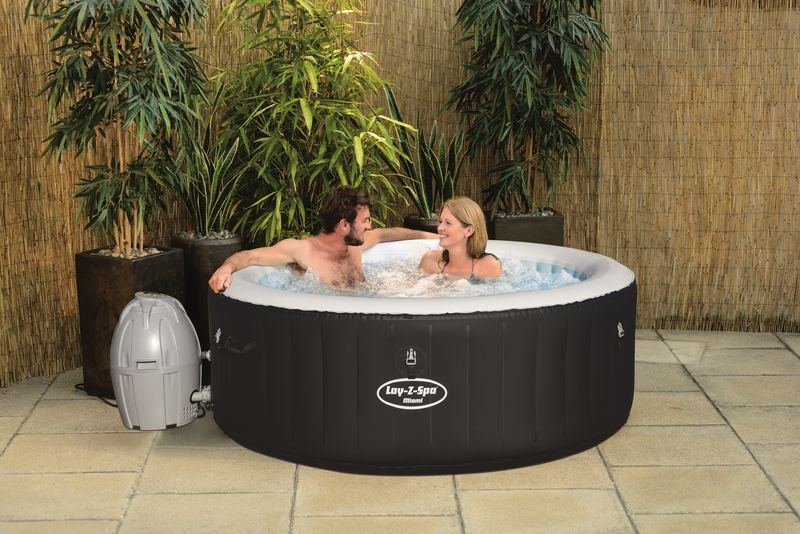 One of the main reasons the Viking MB 448 TX can get through gardens so quickly is thanks to its single speed forward gear which makes it extremely comfortable to use. The lawn mower does the hard work for you and moves along at 3.5 km/h while you keep the lever held. Something that makes this lawn mower even more comfortable to use is the super soft grips on the handlebar that ensure ergonomic and pleasant handling characteristics. The Viking MB 448 TX has a cutting width of 46cm which is a result of the high lift blades combining with the aerodynamic housing that lifts the grass for a cleaner cut and sends it directly into the grass catcher box. 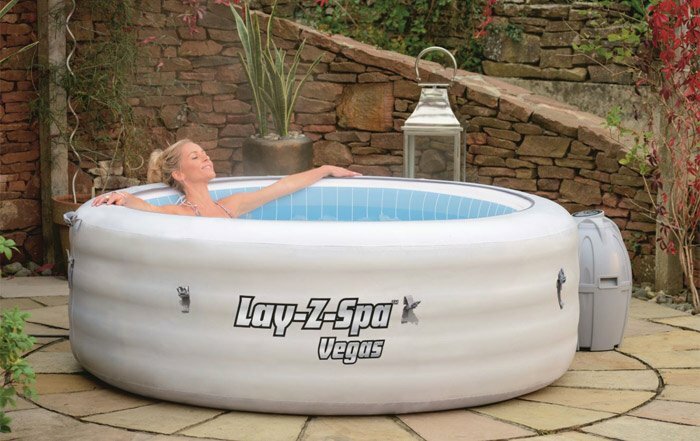 The aerodynamic housing is made of high impact, UV and heat resistant polymer for added durability. The cutting height can be easily adjusted to one of six levels with the help of a spring loaded mechanism by using a handle at the rear of the mower. Once you are finished mowing the lawn, the Viking MB 448 TX has some handy features to make storing or moving it a very simple process. The handlebar is foldable allowing it to fit in tight spaces for storage or transport. To fold the handlebars, simply release the handlebar retainers using Viking’s QuickFix quick-clamping devices. To lock them in position all you have to do is fasten the retainers back up with the quick-clamping device. This Viking mower also has carrying handles which are integrated into the front and the rear of the polymer housing. The handles make the lawn mower easy to handle, load and tip. They can also be safely used as lashing eyes. Get your Viking MB 448 TX self propelled lawn mower by ordering it online today. Alternatively you can visit us in-store. If you are having trouble finding us you can get directions on our contact us page. The Viking MR4082 is a highly manoeuvrable ride on lawn mower that is extremely comfortable. This mower has a cutting width of 80cm and is stocked with equipment to make it simple and relaxing to use. The MR4082 is suited for lawns up to 4,000m² while its small frame and incredible turning radius of just 70cm means that it is perfect for lawns that are littered with obstacles such as trees or shrubs. The Viking MR4082 is powered by a Briggs & Stratton engine that is positioned at the rear of the mower. The clever positioning of the engine at the rear means that there is no bulky section in front of you while mowing, giving you an ideal view while you mow. It is simple to operate, just like in a car the accelerator pedal is on the right and the brake pedal is on the left. The system for changing gears is straight-forward and perfect for getting the job done quickly. To change into either the forward or reverse gears all you have to do is use the lever right next to the steering wheel. The size of the Viking MR4082 ride on lawn mower, combined with its low step ensures stepping on and off of the mower is easy and minimises any jarring movements. While the mower is small for manoeuvrability, it also has ample leg room once you are ready to mow. The seat can also be easily adjusted for added comfort without the need for any tools. Once you are up on the MR4082, the mowing deck is simple to control. At the touch of a button the electromagnetic blade clutch kicks in and you are ready to start cutting. The cutting height can also be adjusted from on the mower. The adjuster is conveniently placed right next to the seat for comfort and ease of use. The steel mowing deck cuts cleanly across its entire 80cm span, this is due to the MR4082’s innovative grass guide system guides grass inwards on both sides to give you a wider and cleaner cut. The huge 250 litre grass catcher box is also a huge plus for anyone who uses it. You don’t have to stop cutting to empty the box every five minutes and when you do it’s a simple process. You can empty the grass catcher box by pulling the ergonomically positioned lever, without ever leaving your seat. When the lever is pulled, the grass catcher box lifts upwards and empties its contents. Another handy feature is that you don’t have to manually check the grass catcher box to see if it is full. When it is getting close to capacity it will leave out an audible beep to let you know. Order your Viking MR4082 ride on lawn mower today by visiting us online or by calling in to us in-store. You can get directions to us on out contact us page. The Viking iMow MI 422 P is a fantastic solution for anyone with a small to medium sized garden and it comes with some incredible equipment. It is ideally suited to lawns that of 650m², making it perfect for the gardens of most detached houses or those in urban areas. 650m² is not the limit however as the iMow MI 422 P can tackle lawns of up to 1,000m². 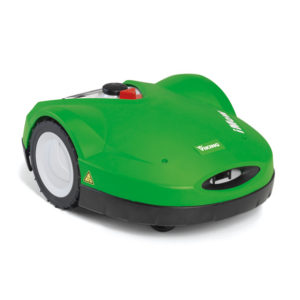 This robotic lawn mower gets the job done quickly and can handle steep inclines (gradients up to 40%) and sharp turns while completing the task. The speed at which the Viking iMow MI 422 P can get the job done is largely down to STIHL’s innovative battery technology which allows it to keep going at full steam for longer, while the short charge times in the docking station means that it can quickly get back to the task if it runs out of energy. The iMow is designed to never completely run out of energy and be left lying lifeless on your lawn. When the battery is low or if it starts to rain, the iMow MI 422 P will return to the docking station and finish the task later. When returning to its fast charging docking changing it will select a different route every time in order to minimise any wear on the turf. The Viking iMow MI 422 P doesn’t just cut your grass, it also improves the overall health of your lawn. This due to the fact the MI 422 P is a mulching mower, its sharp blades finely shred the grass as it is mowing the lawn and returns the cut grass to the soil which then acts as an organic fertiliser and returning a huge amount of nitrogen back into the soil which is necessary for healthy grass growth. When mowing the grass, there can always be unforeseen obstacles that could prevent any robotic lawn mower from completing the task. Viking have foreseen these issues however and fitted the iMow 422 MI P with a movable hood with sensors. This means that if the iMow runs into an obstacle the force of the impact is deflected along the hood and the iMow immediately changes directions. If the hood is lifted the blades will stop completely. Every iMow has to undergo stringent safety tests so you can enjoy all the extra time you have to enjoy your garden with peace of mind. Similarly, each iMow will only operate with its individually programmed docking station and you can add a pin to the device which enhances security by essentially making theft pointless. Order your Viking iMow MI 422 P today by visiting us online or in-store. If you are having trouble finding us, you can get directions on our contact us page. 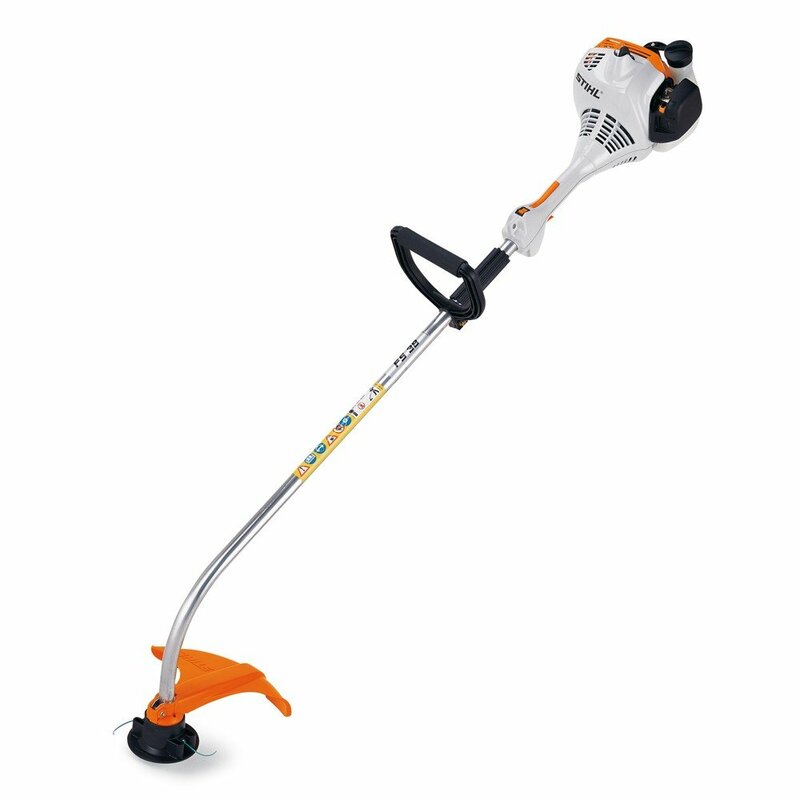 The STIHL HSA66 hedgetrimmer is a cordless electric trimmer that weighs just 3.1 kg. It delivers great performance even when asked to do the toughest of jobs. As mentioned before the STIHL HSA66 Hedgetrimmer is incredibly light. This low weight combined with its ergonomic loop handle ensures that the machine is comfortable to use for long periods and in any cutting direction. The two handed design of this hedgetrimmer means that it can be easily started simply by activating the switch on the loop handle and the rear handle at the same time. The cutting speed of the HSA66 is changeable the entire time it’s in use via the rear control. This ensures a precise and clean cut and energy savings when you are working for an extended period of time. The blade of the STIHL HSA66 has an innovatively designed shape that catches branches and pulls and holds them to the blade for exceptional cutting. The angle of the blade is set at 34° to deliver potent power and an aggressive cutting action. This Hedgetrimmer also comes with a blade tip protector as standard which makes it easier to use close to the ground and along walls while keeping the blade itself well protected. The HSA66 hedgetrimmer also comes with one of STIHL’s energy efficient EC motors which means that it can run for a very impressive amount of time before recharging is necessary. This electronic motor is brushless meaning that it’s not just efficient but also virtually wear free meaning that it can last for a long time without losing any power or efficiency. The design of the STIHL HSA66 Hedgetrimmer is carefully thought out for both convenience and functionality. The engine housing is contoured and smooth to avoid branches getting stuck on it and to make it easier to clean. While the rear handle has been designed as a hanging eye to make it simple to store while not taking up much space. Order your STIHL HSA66 cordless electric hedgetrimmer now by visiting us online or in-store. It’s easy to find us, just go to our contact us page for directions. The Viking MI 632 PC iMow has an impressive battery life which means it can mow the grass for 150 minutes at a time before it has to return to its docking station. This long battery life means that the Viking iMow can handle lawns up to approximately 4,000m² in less than 15 hours of cutting time each week. You can change the active time of the Viking MI 632 PC iMow to make it more convenient at any time by using the app which is available for iPhones, iPads, Android phones and tablets. The app is only available with the MI 6 models of the iMow and won’t work with the Viking MI 422 iMow or the Viking MI 422 P iMow models. The Viking MI 632 PC iMow also comes with several levels of built in security to ward off any potential thieves. One of these security measures is that the iMow can only be operated following the input of a pin code. This makes stealing the iMow pointless as it can only be used by those who know the pin. If someone were to steal your iMow anyway, not only would it not work for them, the MI 632 PC allows you track its whereabouts so that it can easily be found and returned safely to you. This iMow also comes with an ultra bright and high contrast screen which makes it perfect to use on sunny days when glare can be an issue. All of the settings for the iMow can be entered intuitively via this screen, which is also removable so that you don’t have to bend or stoop when you are programming the device. The wheels of the iMow MI 632 PC have tread designed to give them traction so they can reliably cut grass even in areas where the grass is dense, the terrain is uneven or there are gentle slopes (up to 45% gradient). The wheels are also self cleaning so you don’t have to worry about having to unjam them after each cut. You also don’t have to worry about finding your iMow dead and out of battery in the middle of your lawn if it wasn’t fully charged when it began the cut. The Viking MI 632 PC iMow automatically detects when it is raining or when its battery is running low and returns to the docking station to recharge. 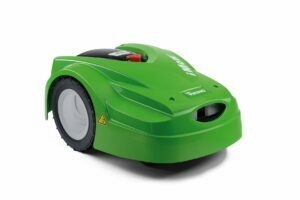 Its intelligent charging system then decides if a normal or express charge is needed, depending on when the next upcoming mow is. The iMow very finely cuts grass into mulch and restores the nutrients to your lawn, the robust mulching blade changes direction each time the blade stops to ensure uniform wear. This means your iMow can go for longer without needing any new parts. When you do need to replace the mulching blades, no tools are necessary. The Viking 632 PC iMow is a fantastic little machine that can save you hours of labour each week. Get your hands on your iMow now by visiting us online or in-store today. You can get directions to help you find us on our contact us page. The STIHL MS661 C-M Chainsaw 25” gets it’s immense power from it’s 91cc engine. 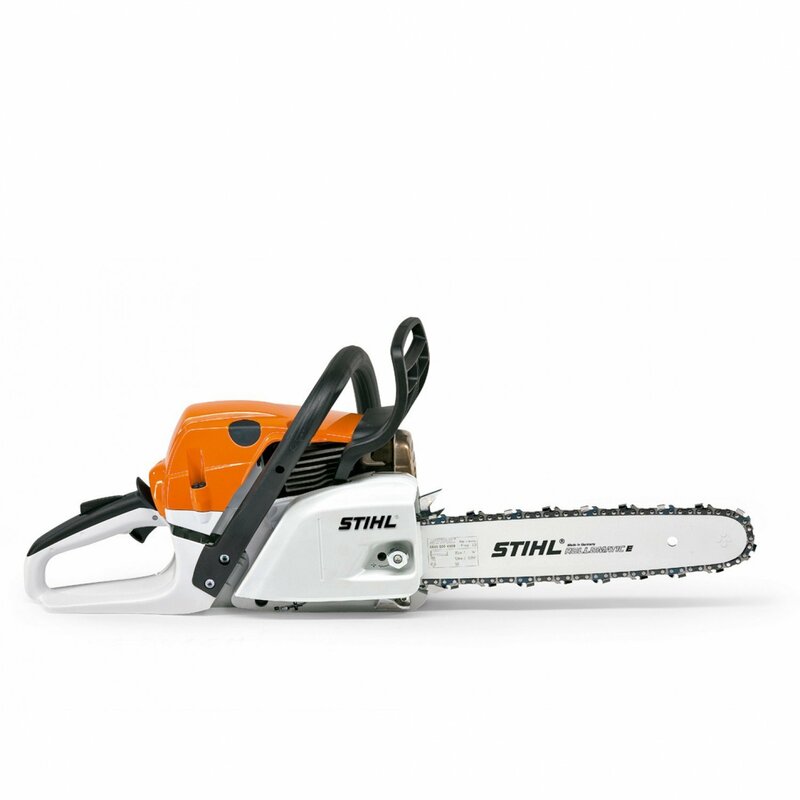 The saw’s two mix technology means you don’t have to compromise on cutting ability while still managing to deliver fuel savings of up to 20% over other STIHL two stroke engines in the same performance class who lack the technology. The MS661 C-M is ready to start work when you are. The fitted decompression valve should be pressed before you start up the chainsaw, this lowers the amount of compression when the engine is fired up and makes pulling the starter rope easier also, it then closes automatically upon start-up so you don’t have to worry about it anymore. STIHL M-Tronic is the engine management system, it makes your life a whole lot easier it takes a whole host of external factors (temperature, fuel quality, altitude etc.) into account to ensure that your chainsaw delivers consistent performance, constant maximum speeds and incredible acceleration. The M-Tronic engine management system has cold and warm startup recognition which means the combi lever only needs one start position. Even with a cold start, you can apply full throttle straight away after startup as the saw is warmed up in seconds by making use of its optimum acceleration. It has been shown that the excessive vibrations from power tools can negatively impact the blood vessels in your hands in the long term. The STIHL Ms661 C-M 25” Chainsaw combats this by incorporating an anti-vibration system. The system dampens the vibrations from the oscillations from the engine and significantly reduces vibrations at the handles, making it more comfortable and safer. The MS661 C-M Chainsaw is a robust and durable saw designed for tackling heavy duty tasks like forestry and big timber harvesting. To make sure it can stand up to all of that work it comes with STIHL’s HD2 filter which traps even the finest dust. The filter is also oil and water repellent making it extremely easy to clean. If the filter gets clogged the compensator steps into action and acts as a controller in the carburettor, helping to deliver the correct quantity of fuel depending on the quantity of air so your fuel to air ratio always stays at its optimum. This saw isn’t just a high performance, economically friendly solution, it is also simple to maintain. The petrol cap allows for easy locking and unlocking without the use of tools, the chain tensioner is on the side of the machine through the sprocket cover to avoid any unnecessary contact with the sharp saw chain, and when you are changing the cutting tool you can take advantage of its captive nuts so you don’t have to risk losing the nuts from the sprocket. Get your STIHL MS661 C-M Chainsaw 25″ by calling in to us in Douglas or by visiting us online today. If you are unsure of how to get in contact with us or you need directions to our showroom, simply visit our contact us page. The Viking MB 248 18″ push lawn mower is perfect for small to medium sized gardens up to approximately 1,200m². 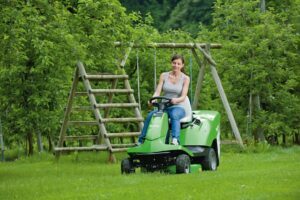 It is a compact and cost effective lawn mower that really comes into it’s own when manoeuvrability is an issue in gardens with lots of corners and obstacles. Whether your garden is large or small, you expect reliability and quality from a Viking product and that’s just what you get with the Viking MB 248 mower. As with many Viking lawn mowers, the MB 248 comes with a foldable handlebar as standard. This handy feature makes it simple to transport and means that it can be stored conveniently without taking up too much space. The handlebar is attached to the robust housing by a durable steel frame. This allows for quick and easy manoeuvring around obstacles while giving the mower the strength and reliability we have come to expect from Viking products. The cutting height can easily be precisely adjusted via a spring loaded lever on the side of the housing, allowing you to pick the perfect length for your lawn. The housing itself is sturdy and hard wearing. That combined with the reliable Viking engine is something that gives your lawn mower a long service life. It seems that reliability and usability were huge factors in the design process of the Viking MB 248 18” Push Lawn Mower. The double ball-beared wheels are evidence of this. They are smooth running, give you the grip you need, keep the mower going in a straight line and cleaning them is a hassle free process. The Viking MB Push Lawnmower has a 46cm cutting width gives it the manoeuvrability it needs in tight spaces while it’s large 55 litre grass catcher box means that you won’t have to stop mowing every five minutes to empty it. The grass catcher box also comes fitted with an integral level indicator to let you know when the box is full, so you don’t have to physically check the grass level yourself. The aerodynamic housing helps to create a strong air current that lifts grass as it is being cut which results in the high lift blades creating a beautiful cutting pattern and the cut grass being blown directly into the grass catcher box. Pick up your Viking MB 248 18″ push lawn mower by visiting us in store in Frankfield, here are directions to us, or by ordering it online today. The STIHL FS38 brushcutter is great value and is perfect for home owners. It has a surprisingly high amount of power compared to its weight, just over 4kg. It has enough power to complete household trimming while remaining light enough to remain easy to operate and manoeuvre. The FS38 has a fully adjustable front loop handle that can be turned 360 degrees and set in place easily in a matter of seconds. Loop handles are perfect for when you need to work in a limited amount of space like between bushes and it’s adjustability ensures that you can easily find the handle position that you are most comfortable with. The drive shaft of the STIHL FS38 brushcutter is also fully lined to reduce the amount of vibration you feel when using it to further increase your comfort. 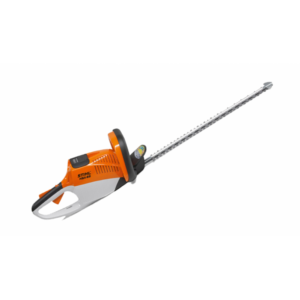 The handle of the STIHL FS38 brushcutter has a multi-functional design. All of the controls including those for starting, running and stopping the strimmers are built in to the handle. This means that your hand never has to leave the handle during the operation of the machine, making it more comfortable and easier to complete gardening tasks. The FS38 brushcutter comes equipped with high tech polymer housing which helps it to be lightweight as well as protect it from impact and corrosion. The choke lever is also protected to help prevent damage from day to day use. The control cables are enclosed within the casing, this eliminates dangling wires and keeps them out of your way when operating the machine. This brushcutter is built to last. It comes fitted with a heavy-duty steel on steel centrifugal clutch which reduces slippage and improves performance. The spark plug is also protected when the machine is in use to extend its lifespan but it is easily accessible and simple to change. The STIHL FS38 erases the need for you to manually check the fuel level before commencing work. The translucent fuel tank makes it simple to check fuel levels before during and after the work. Get your STIHL FS38 brushcutter by visiting us in or by ordering online today. If you need help finding us, you can get directions to our store on our contact us page. 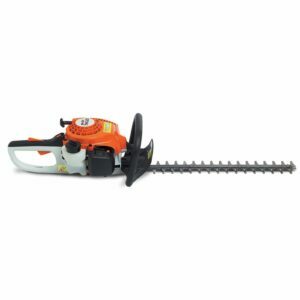 The STIHL HS45 hedge trimmer is a great product at at a very reasonable price. It’s long 24” blades are perfect for trimming hard to reach hedges, bushes and shrubs around the garden. It is geared more towards light garden trimming rather than being used as a professional machine, however it still delivers outstanding performance. The STIHL HS45 hedge trimmer comes fitted with a manual fuel pump (purger). This small pump sends fuel to the carburettor at the touch of a button to help reduce the amount of pulls needed to start the engine, especially after extended breaks and significant time between uses. The STIHL elastostart system helps to reduce the shock caused by the compression in the engine upon start-up. The shock is guided away from your joints and muscles and towards the spring or rubber element in the starter handle. The electric ignition module in the HS45 ensures that the hedge trimmer starts and runs reliably. The ignition system is fully encapsulated to protect it from damp and dirt. There are multiple options for the blade size and type for the HS45. It comes with either a 24” or 18” blade. The smaller blade is more easy to manoeuvre but the longer blade can trim more at once and get to harder to reach areas. The hedge trimmer also has the option of either a single ground, or dual ground blade system. The single ground option ensures high cutting performance and the dual ground system provides a clean cut and is ideal for cutting stronger, thicker branches. Prolonged use of power tools can lead to issues with the blood vessels in your hands and arms due to the sheer amount of vibration that goes along with them. That’s why STIHL have fitted the HS45 with an anti vibration system that reduces the amount of movement in the handles of the hedge trimmer. 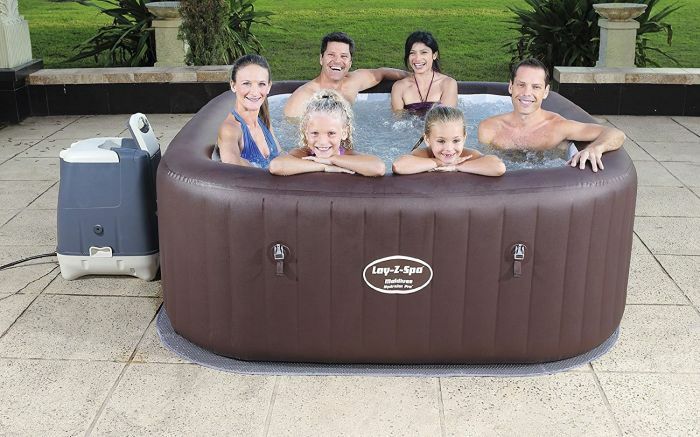 This system is better for your long-term well being as well as making the machine more comfortable to use, especially for prolonged periods of time. The STIHL HS45 hedge trimmer also comes with a long life air filter system installed. The systems means that you can have longer intervals between cleaning and a more protective and reliable engine. Buy your STIHL HS45 by visiting us in store or by ordering online today. If you need directions to help you find us, just visit our contact us page. The Viking M B 655 GS 21” self-propelled lawnmower is suitable for small and larger gardens. A DOV engine with Readystart, powers this mower at a working speed of 2,800 rpm for lower vibrations and increased fuel efficiency. The MB 655 GS comes equipped with 3 different forward gears, making it ideal for comfortably maintaining large gardens. Simply set the lever in one of the 3 forward gears and the lawnmower sets in motion. For added comfort the handlebar, as well as the speed, can be adjusted quickly and easily to suit whoever is operating the mower, while still providing optimal stability and maneuverability. Viking’s MB 655 GS self-propelled lawnmower is simple to move around and store. It’s large wheels have high quality bearings for easy running. This mower comes with a foldable handle which comes in handy when you need to transport or store it. The integrated carrying handle on the front of the mower makes transportation even easier. Additionally it acts as a bumper to protect the blade housing from impact with obstacle around the garden, it is also suitable to be used as a lashing eye. The central cutting height adjustments allows you to pick from 7 different cutting heights until you can make the perfect selection for the garden you are cutting. The cutting height can be easily and quickly adjusted with the help of a spring loaded mechanism accessed through a handle on the left side of the housing. Once the height is set, the innovative high-lift blades work with the aerodynamic housing to create a powerful air current that lifts the grass up before cutting, then going on to blow it into the Viking MB 655 GS’s optimised grass catcher box. Unlike most lawnmowers, the grass catcher box in this model is capable of being filled to 100% capacity, so you can spend less time emptying and more time cutting. It’s two part design ensures that it’s simple to open and empty. 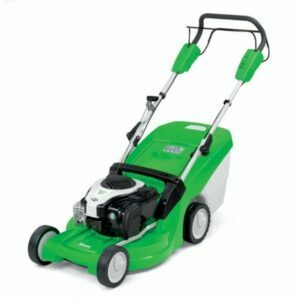 To make the whole experience of cutting the grass as enjoyable and as straightforward as possible, this Viking mower comes with a blade brake clutch feature. This allows you to simply and easily disengage the blades from the engine, while leaving the machine running. This is perfect for crossing over gravel paths or emptying the grass catcher box. Get your hands on your Viking MB 655 GS self propelled lawnmower by visiting us in store, we have directions to our store on our website, or by purchasing it online today. The BERG Talent series of trampolines are designed specifically to easily fit into smaller gardens. They come in 6ft, 8ft and 10ft variations with the optional extra of a comfort safety net to stop any unfortunate accidents that can happen as a result of falling off of the trampoline. 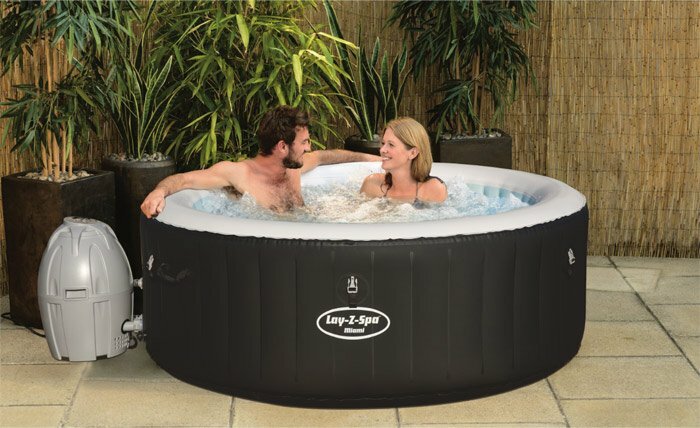 The 6ft and 8ft models are capable of supporting jumpers of up to 50kg, however the 10ft model can support a jumper of up to 70kg. The BERG Talent trampoline springs are covered with durable, padded, waterproof PVC to protect the trampoline and more importantly, anyone using it. The springs themselves are Gold Spring Talent springs. They specifically designed to be elastic, flexible and to last. During manufacturing the frame and the springs are coated with a solid layer of corrosion resistant zinc to prevent rust so that you can keep trampolining for longer. 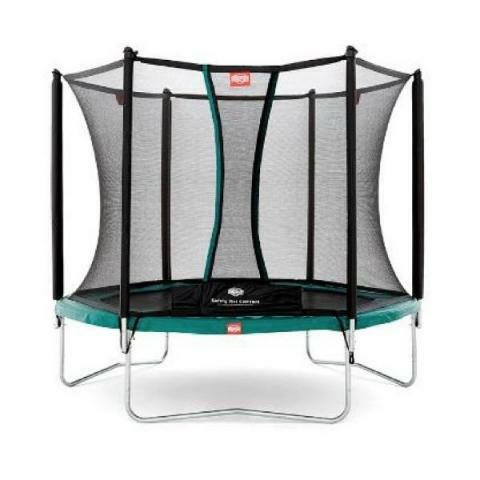 The woven jumping mat of BERG Talent trampolines is attached to the thick, robust frame by its springs. Each spring is attached to the mat through a triangular eye which has been stitched through 8 times to provide stability and safety for the user. Safety is always the top priority with any BERG product. BERG products are stringently tested so keep the manufacturers guidelines in mind before jumping on the trampoline. There is no plastic used to support the safety net as is held up with a solid steel construction to ensure it stays in place when you need it most. The steel poles themselves are encased in a stylish black cover that looks fantastic as well as preventing jumpers from injuring themselves. 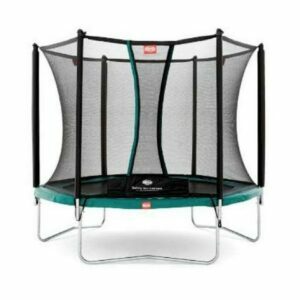 BERG’s Talent trampoline is a real BERG product that is great value and ideal for all garden sizes, though it is designed specifically to fit in areas that other trampolines would struggle in. As you would expect from a BERG product, the Talent trampoline has undergone stringent safety and quality testing. This means that you can rest safe in the knowledge that your children are playing in safe and fun environment. Get your BERG Talent trampoline by visiting us in store or online today and choose from three different sizes and from regular and in ground models of Talent trampoline to kick off the summer. You can find our contact details including directions to our showroom on our contact us page. Viking’s T6 tractor mowers are a dream to operate and offer unrivaled precision from start to finish. The MT6127 ZL in particular gives the user an unparalleled amount of comfort and control even when mowing the largest of gardens, up to 10,000m². The sychnronmous cutting deck’s three blade system enables you to achieve perfect cutting patterns while its 125cm width and amazingly tight turning circle makes light work of your lawn. The MT6127 ZL comes with innovative forward and reverse gears that can be changed with ease, simply push the lever into position and the hydrostatic gearbox does the work. The pedals are easy to operate and similar to that of a car, the break is on the left and the accelerator is on the right. The accelerator pedal allows you to precisely select your driving speed, giving you full control over all 23hp. Once you have selected your drive speed you can take advantage of the MT6127 ZL’s cruise control feature, it is electronically activated and allows for relaxed mowing which is particularly useful when mowing larger lawns. With such a powerful and effective mower, you would expect to be emptying it every five to ten minutes. However the huge 350 litre capacity grass catcher box means you can keep going for longer. The grass catcher box is emptied without any strain straight from the seat simply by pushing a leaver. The MT6127 ZL also comes with a mulching insert which prevents grass from entering the grass catcher box. The finely chopped grass then acts as a fertiliser and returns to the lawn providing valuable nutrients and moisture. 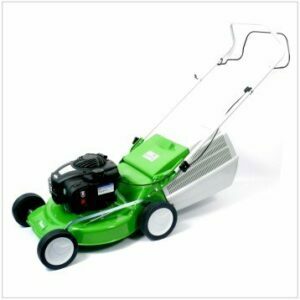 This mower is suitable for cutting grass to the perfect height whatever your needs. The blade height is controlled by a lever and allows you to easily select from eight different heights quickly without breaking a sweat. The LCD display is a great asset on the MT6127 ZL. It prominently displays, using symbols, all of the most critical information such as operating hours, grass catcher bag filling level, grass catcher bag needs emptying, battery voltage, fuel tank level, oil pressure control, driver seated, cruise control, mowing deck activation, electromagnetic blade clutch programming and fault indication. 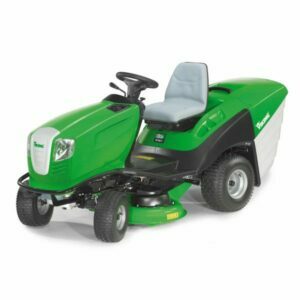 Coupling this with the practical driver seat that is fully adjustable allowing anyone to mow in the perfect position means that you can work in comfort. The build quality of the MT6127 ZL is what really makes it stand out from cheaper mowers. It’s robust and sturdy welded frame and bumpers ensure that you and the main components of the tractor are fully protected at all times. Purchase this amazing mower now by visiting us online or by visiting us in store.